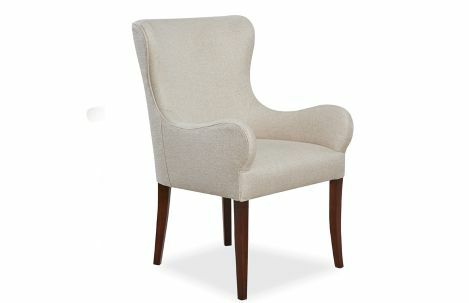 Lee Industries Upholstered dining arm chair with oak wood legs. 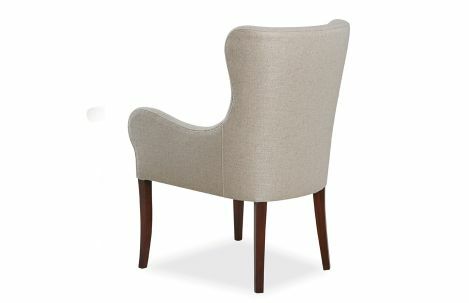 Upholstered dining arm chair with oak wood legs. 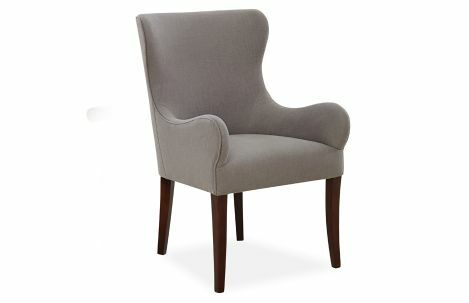 Customize with fabric options.